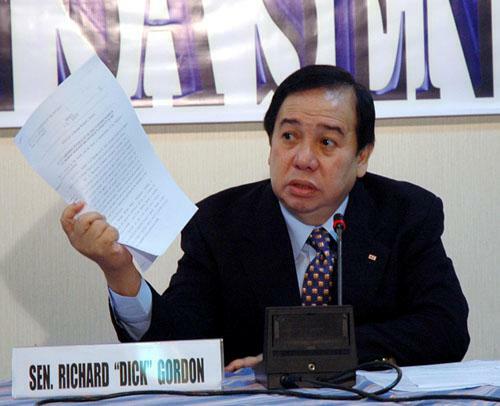 MANILA, May 23 — The European Union (EU) should respect that the Duterte administration is aiming for self-reliance, Sen. Richard Gordon said Tuesday. Gordon made this remark lauding the administration’s decision stressing that it did not mean that the Philippines was cutting ties with the foreign bloc. "It is commendable that we show self-reliance vis à vis the EU assistance. The Philippines and Europe have very strong ties — economic, historical, and cultural. It doesn't mean we are throwing Europe away,” Gordon said in a statement. “They should respect that we're aiming for self-reliance. It's a country's way of gaining dignity. When we say we do not accept aid, it only means that we are moving towards self-reliance and less dependence,” he added. “That's the only way we get respect from the world," Gordon stressed. It may be recalled that EU ambassador to the Philippines Franz Jessen said he was informed this week of Manila's decision to stop receiving aid from Europe, which was funding about 100 community projects across the country. The EU has been providing support to Manila's efforts to end nearly 50 years of Muslim rebellion in a conflict that has killed more than 120,000 persons while displacing more than one million persons and stunting growth in one of the country's resource-rich regions.